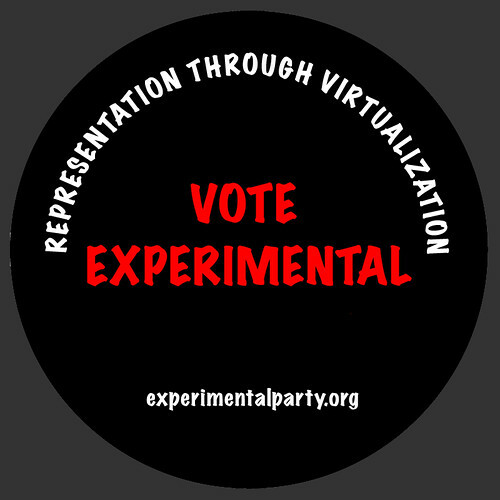 As a project of the US Department of Art & Technology, The Experimental Party was conceived as faux, artist-driven political party and an artistic critique of the political process. Based on a pseudo-utopian model of the political party, the project served as a vehicle for artistic action, acts of artistic mediation, founded on the age-old optimistic notion that the individual really can change the world. The Experimental Party, as a nod to history of the social and political inclinations of the artistic avant-garde, was dedicated to the embrace of experimental thinking, the creation of a mediated environment as a laboratory for political change, a system of communication and production, and a collective process that enables the disenfranchised to enter into the political process with renewed hope and agency. 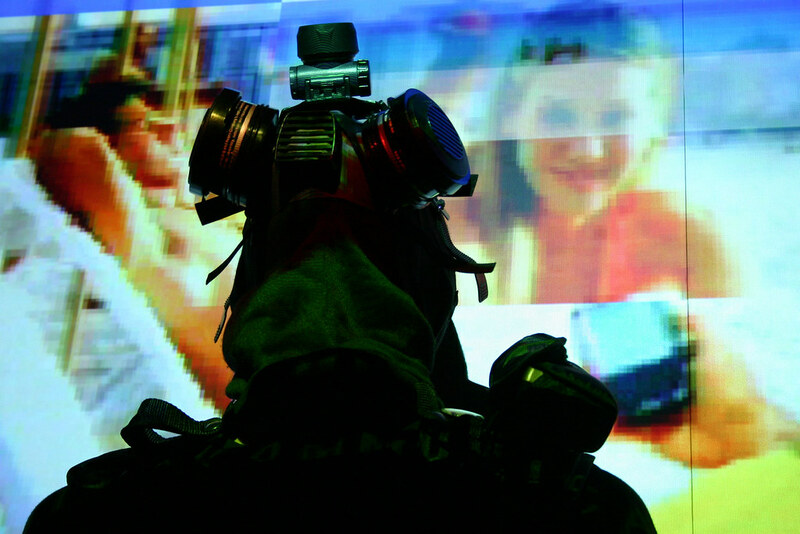 The final goal, as an artistic creation, was to propose a model of society where free and experimental modes of conduct would challenge the status quo and perhaps even prevail. 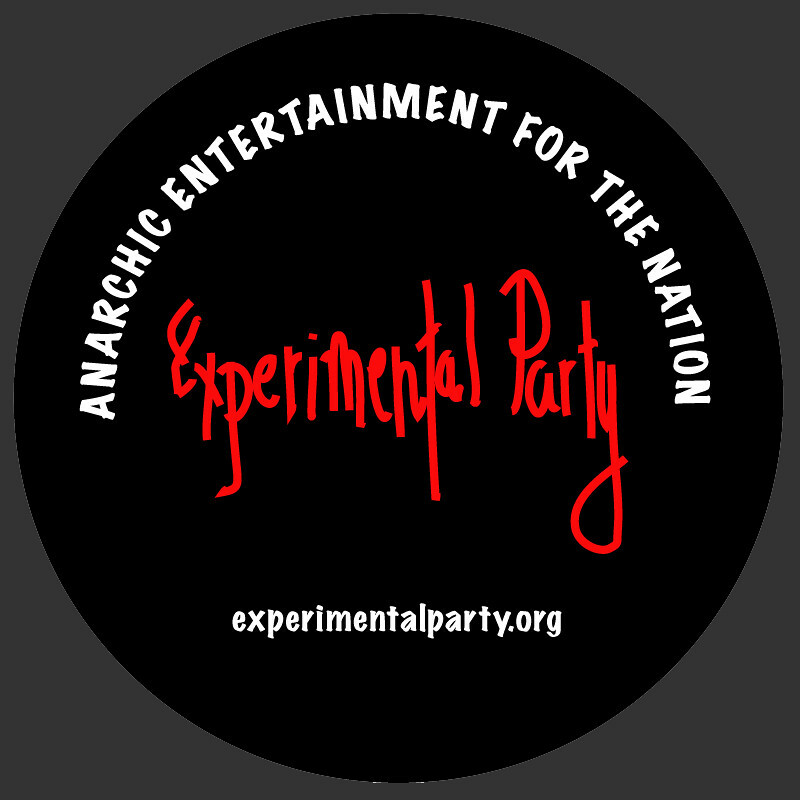 The blending of utopian thought, dada humor, collective action, artistic mediation, and dead serious political aspiration is what defines the spirit of The Experimental Party. 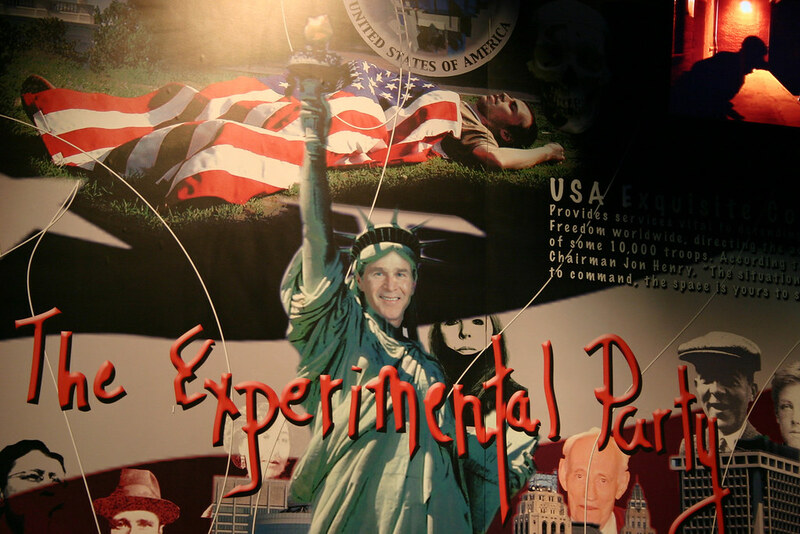 The Experimental Party was a collaboration with numerous artists, including: Mark Amerika, Andy Deck, Jeff Gates, Jon Henry, Lynn Hershman, Gregory Kuhn, Andrew Nagy, Trace Reddell, DJ Spooky, and countless other artists and citizens who believe in the power of experimentalism. 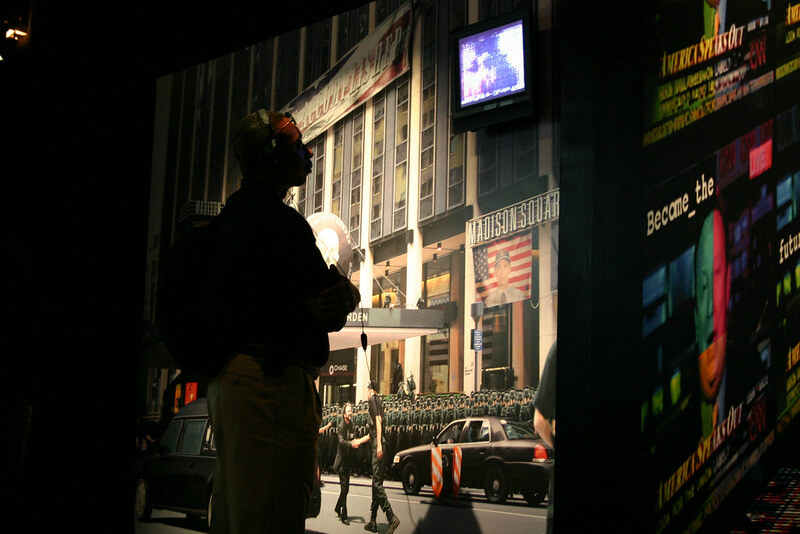 The culminating exhibition for the project, the Experimental Party Disinformation Center, took place August 15 – September 4, 2004 at the LUXE Gallery on 57th St. in New York City, coinciding with the 2004 Republican National Convention. 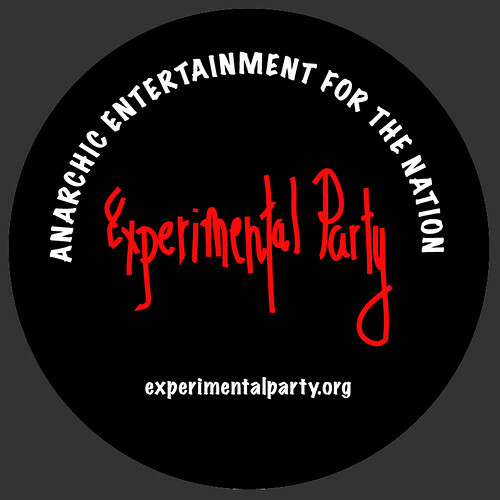 A button spreading the word of a new artist-driven political party, with its mission to create anarchic entertainment for the nation. The party's motto, "representation through virtualization," is the new call-to-action of the experimentally minded. Abe Golam, the avatar of the electrosphere created by Mark Amerika, ran for President under the banner of the party with it's slogan: "Representation Through Virtualization." 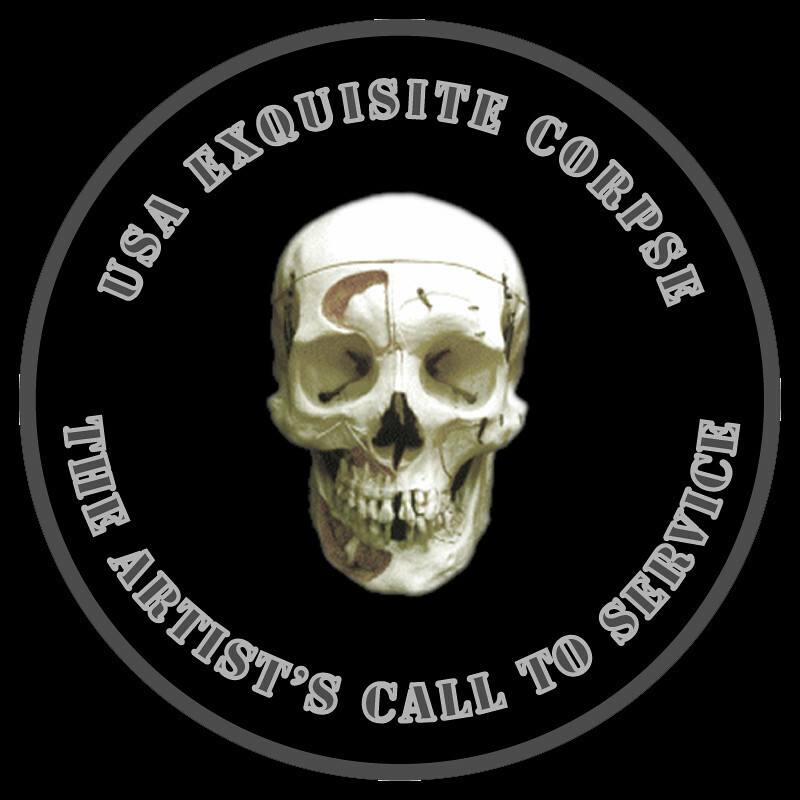 In times of crisis, artists take action, forming the USA Exquisite Corpse as an artist-driven service organization with its intent to change the world. 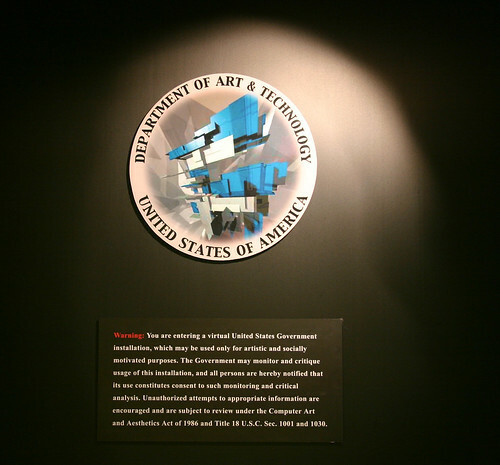 The party, a subsidiary of the US Department of Art & Technology, brought "acts of artistic mediation" together under the guise of one hell-bent political organization. In the nation's capital, Jill Steinberg sang God Bless America on the national mall at dawn while blinded by patriotism. The young artist, Jon Henry, died in front of the White House while raging against the machine determined to protect artistic freedom. 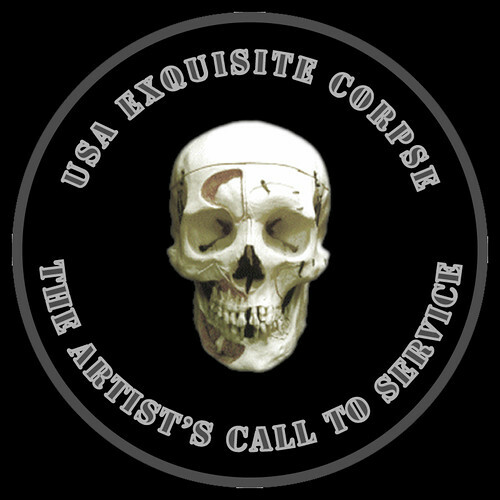 General Andrew Nagy, leader of the USA Exquisite Corpse, conducts full uniform exercises preparing for highly demanding forms of artistic mediation. 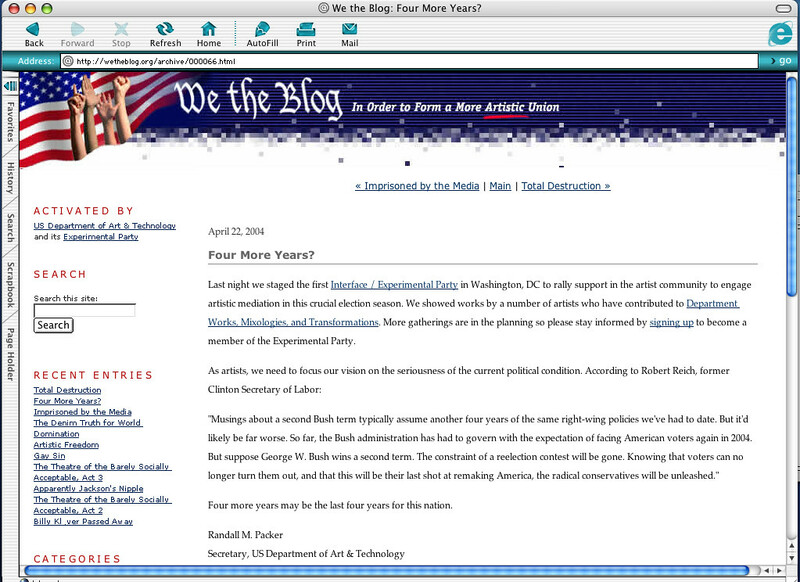 Jeff Gates, one of the most dedicated artistic bloggers in the nation, and a true patriot, founded WeTheBlog.org, with it's motto: "In order to form a more artistic union." 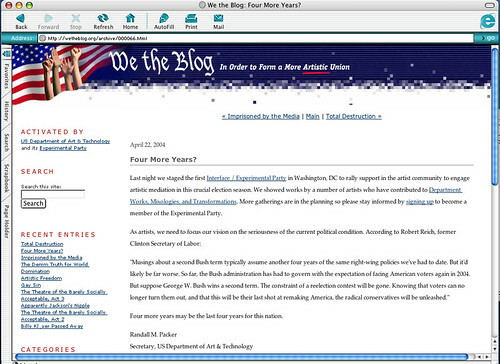 WeTheBlog.org was one of the first political blogs, uniting a group of dedicated artists who believed in empowering the disenfranchised and the experimental. 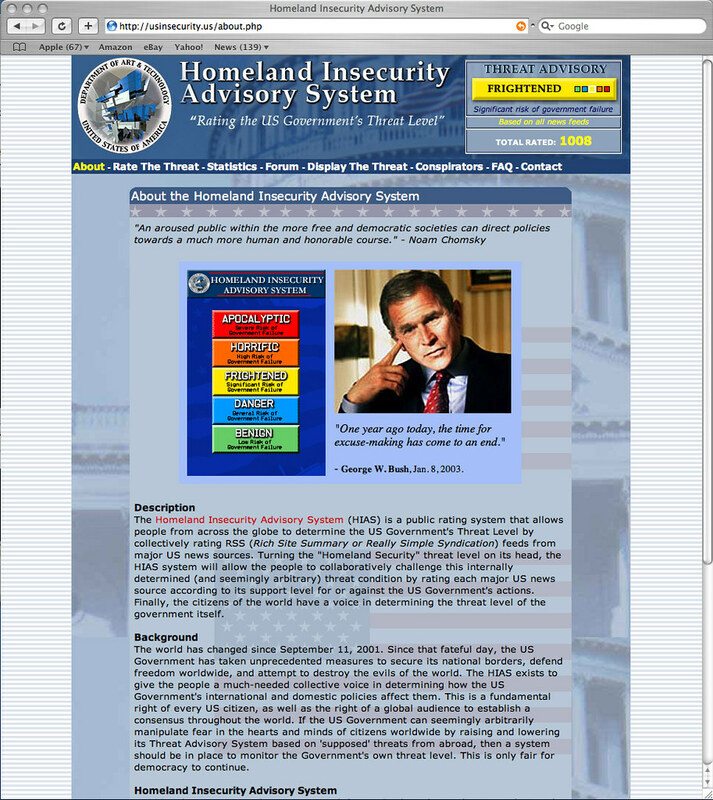 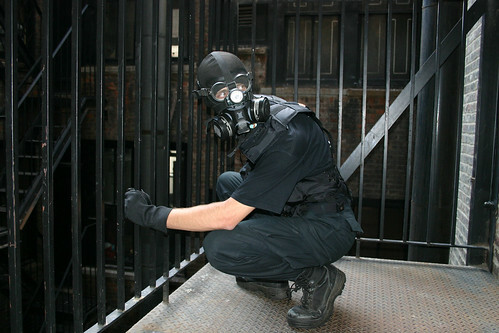 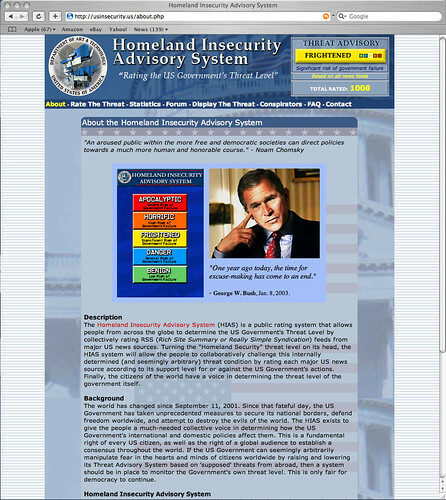 The Homeland Insecurity Advisory System, devised by Jonah Brucker-Cohen, provided a daily rating of the risk of the US Government to endanger the nation and the world. 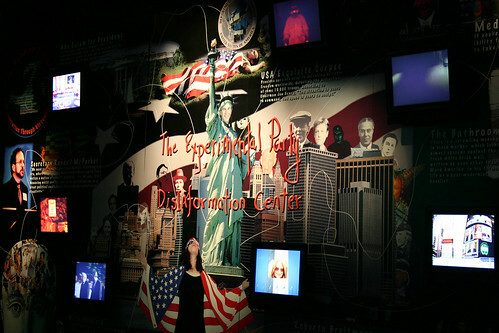 In response to the 2004 Republican National Convention, the Experimental Party Disinformation Center was installed at the LUXE gallery in New York City. At the entrance to the show was the seal and warning sign of the US Department of Art & Technology. 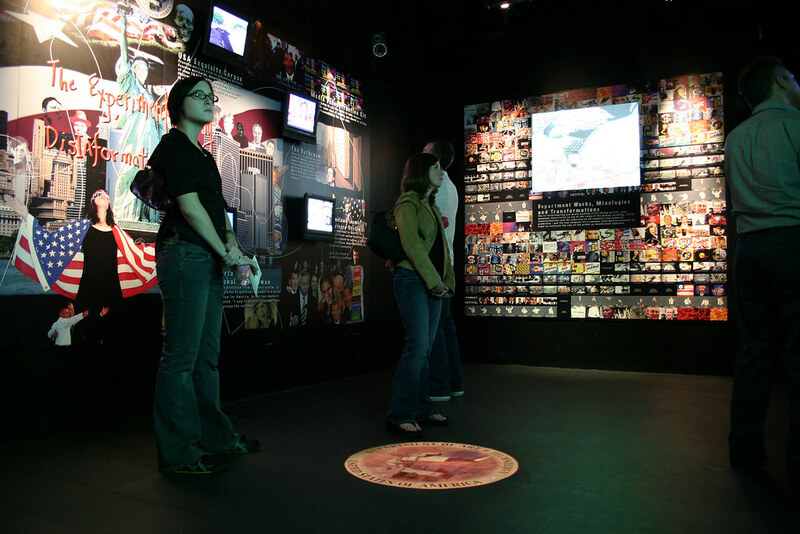 Entering the main gallery of The Experimental Disinformation Center, the viewer encounters the party's acts of artistic mediation framing George W. Bush, whose mission to spread freedom throughout the world is symbolically celebrated. 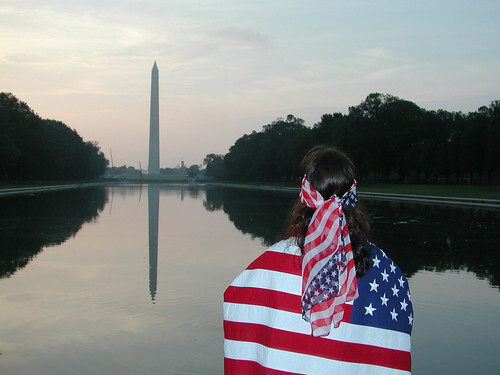 A close-up of George W. Bush holding the flame and preaching freedom for all. Behind him is the fallen artist, Jon Henry. 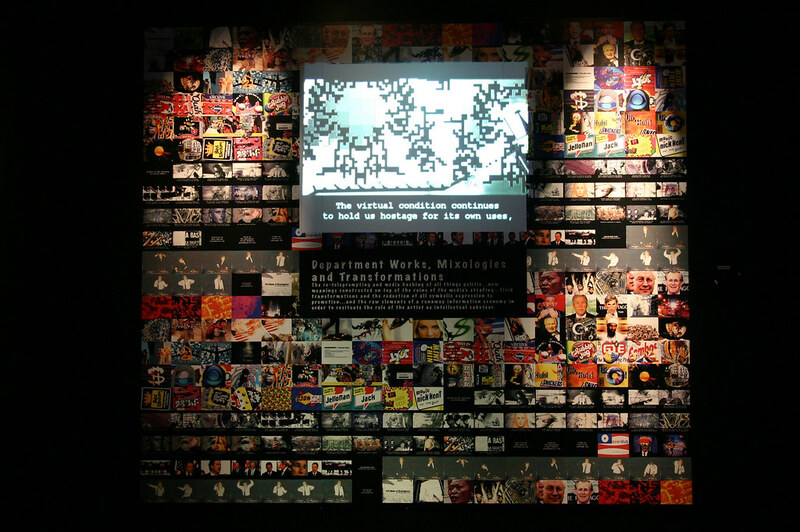 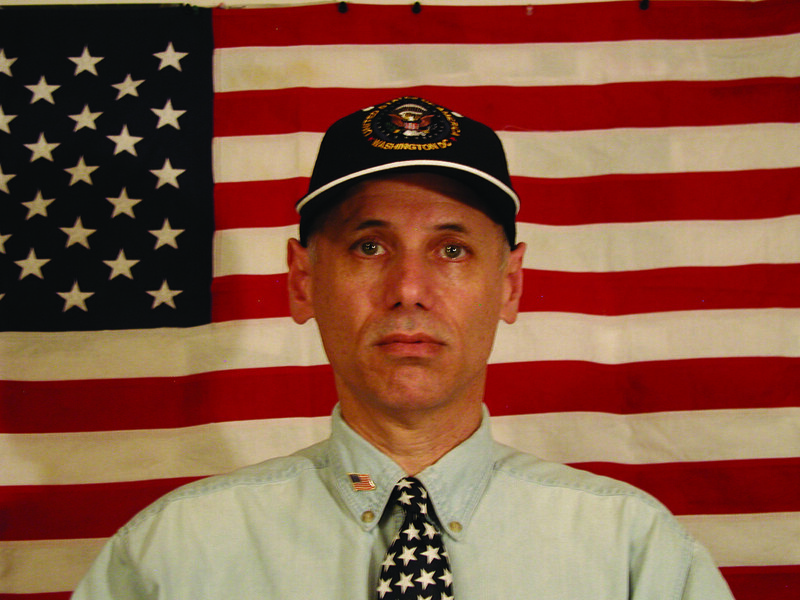 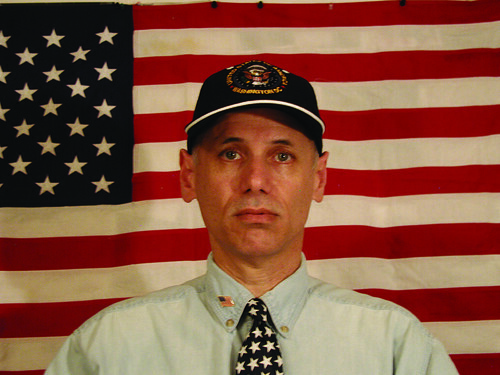 Department Works and Mixologies was a collaborative project showcasing political propaganda by a coterie of distinguished artists, including: Mark Amerika, DJ Spooky, Andy Deck, Trace Reddell, among others. 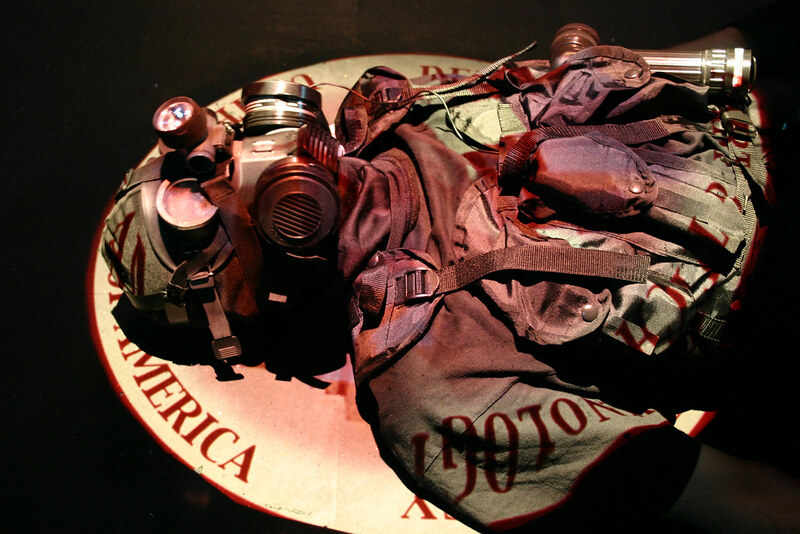 In the electronic light of the exhibition, viewers were given a health dose of shock and catharsis through exposure to the artistic mediations of counter-propaganda. A direct conduit from the Republican National Convention, a cable news feed was the source of constant manipulation of gavel to gavel coverage via the distortions and mashups of the Media Deconstruction Kit. 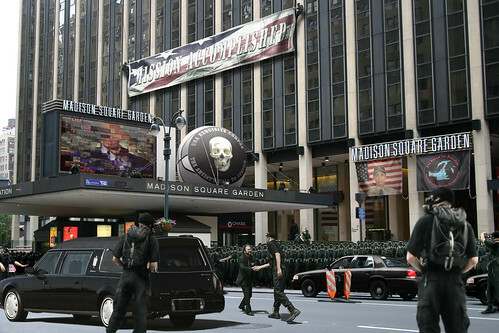 Perhaps the most dramatic artistic mediation was the Occupation of Madison Square Garden orchestrated by USA Exquisite Corpse General Andrew Nagy. 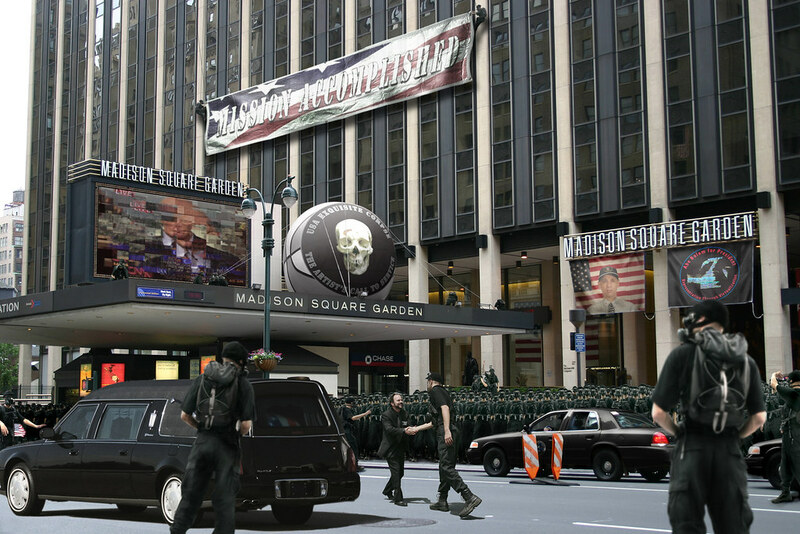 Here we see Nagy and Secretary Packer shaking hands after successfully disrupting the National Convention. 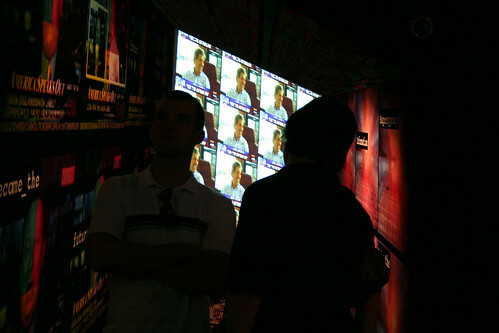 General Andrew Nagy's presence in the Experimental Party Disinformation Center was a constant reminder of the work still to be done to combat the dangers of a propagandistic government run amok. A visitor standing in front of the Occupation wall in the Experimental Party Disinformation Center is assured that artistic action will be successful, no matter how long it takes. 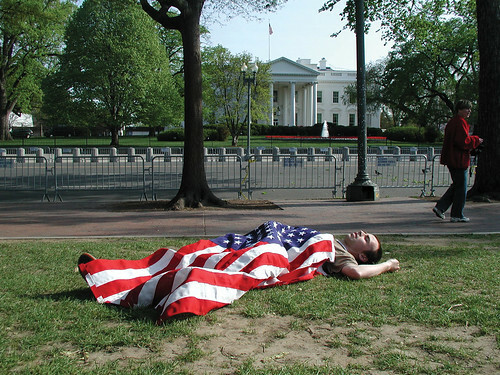 General Andrew Nagy takes a short rest to absorb and contemplate the projected seal of the seal of the US Department of Art & Technology. 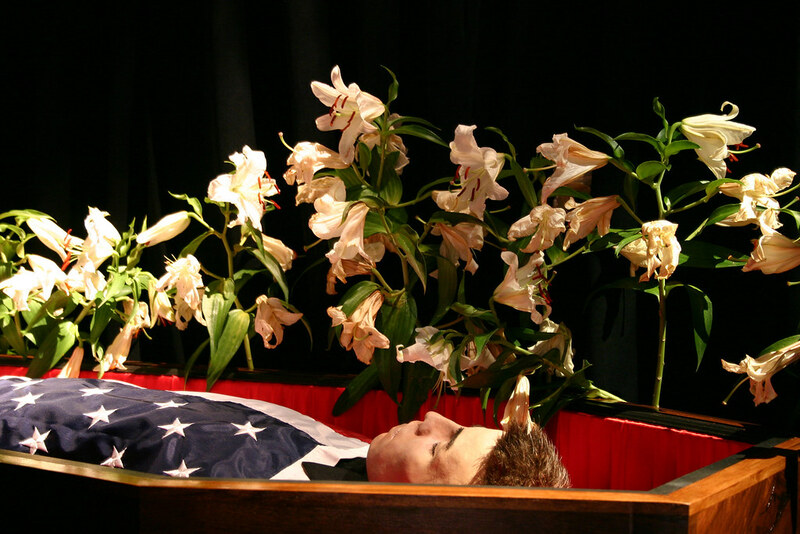 In the rear of the Experimental Party Disinformation Center, lies the body of Jon Henry, who gave his life for what he truly believed, that no artist must ever back down from the responsibility at hand. 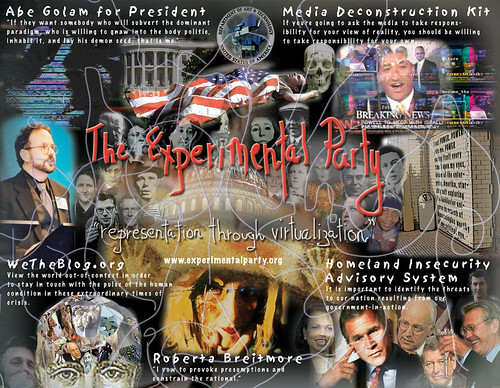 A counter-propaganda political video released by The Experimental Party, whose motto was “representation through virtualization.” Featuring Randall Packer, Andrew Nagy, Jon Henry, Lynn Hershman, and Jeff Gates. 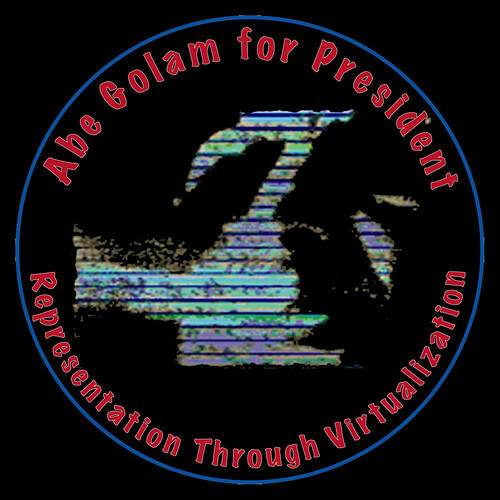 Created by Randall Packer, 2004.